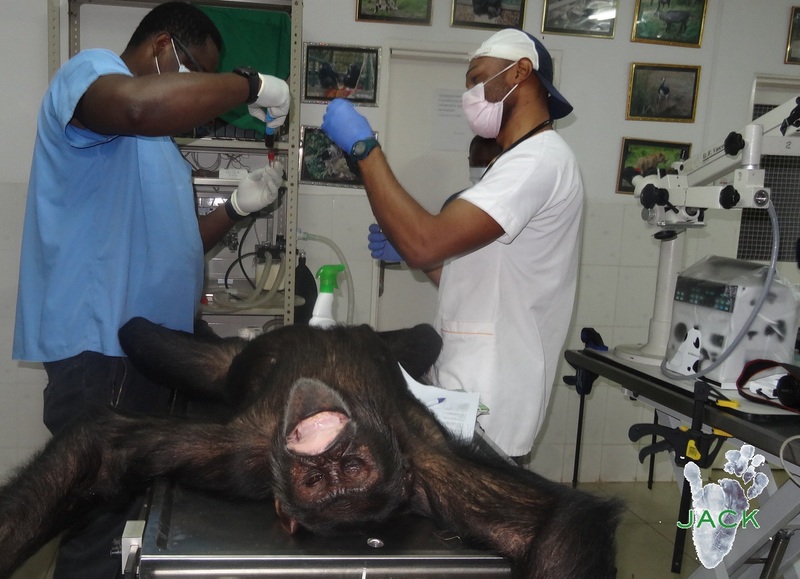 Last Thursday was a very important day for our young chimpanzee since the two veterinarians qualifid in eye surgery had arrived from Johannesburg to check and operate his left eye. In a few words and before I start, know that all went well! 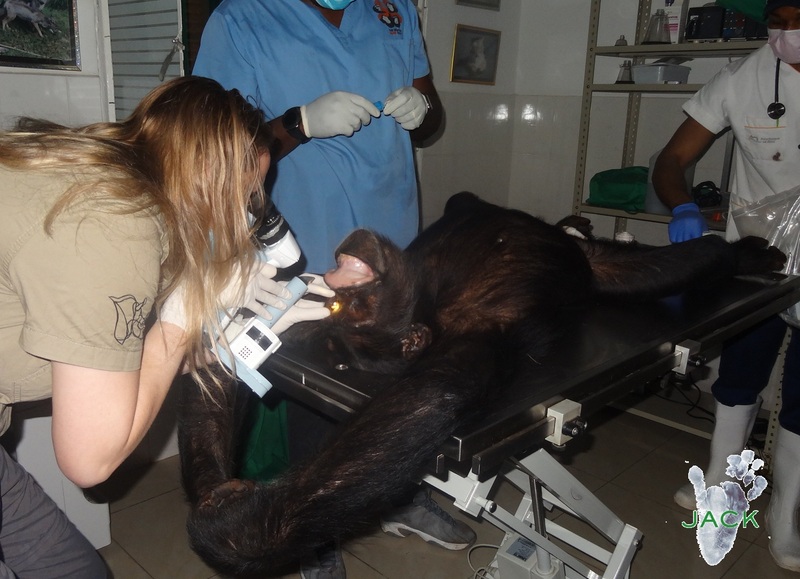 Thursday morning, Doguy was sedated and transfered to a clinic. Our sanctuary has a brand new clinic but it isn’t equiped yet and we didn’t have the needed sedation machine (gas anaesthesia) usually used for long surgeries. So, J.A.C.K. had to rent the theater of another veterinary clinic for this particular occasion. 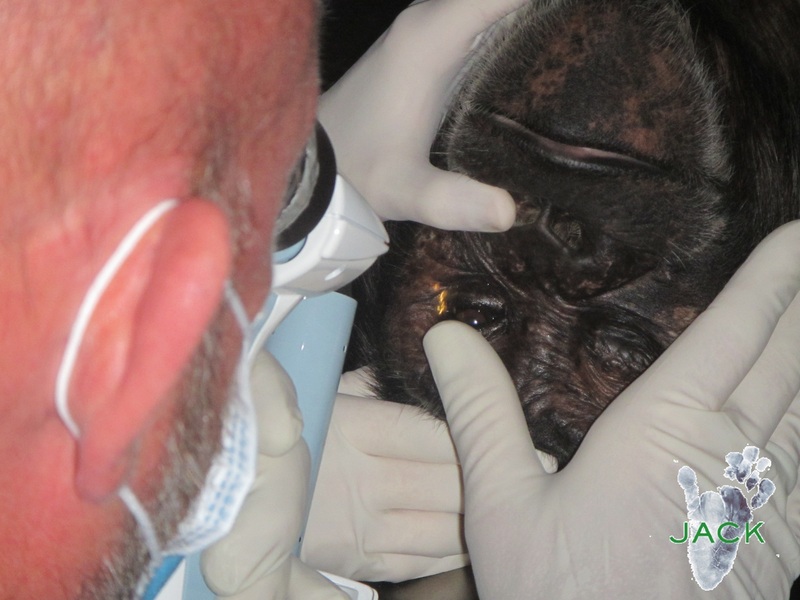 The two South African surgeons carried out different tests on Doguy’s eye and found out it wasn’t suffering of cataract but that it had an issue on the cornea. Doguy has had an ulcer on this part of the eye which has slowly healed leaving a lesion onto the cornea. Some calcium has started to cover the lesion providing the eye with a very small whitish spot. 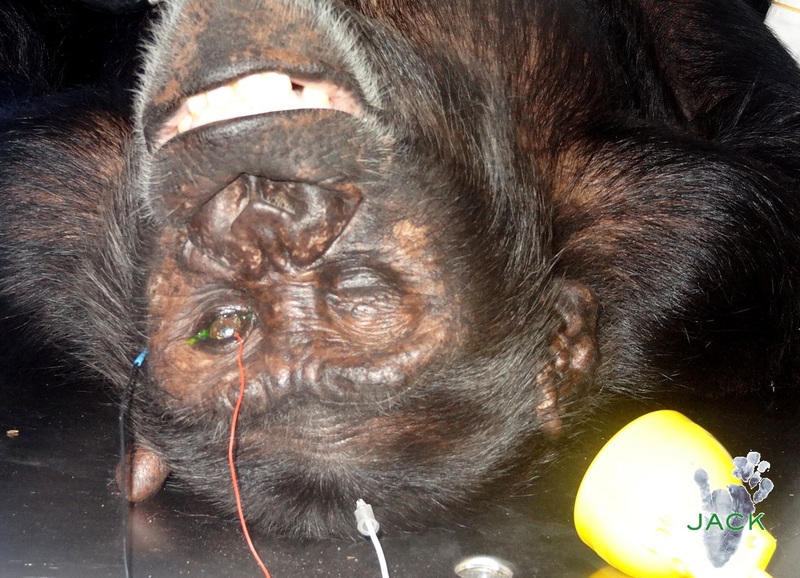 This lesion has no impact at all on Doguy’s sight but to be sure the two eye specialists connected the chimpanzee to their computer via 3 electrodes to check the qualiy of the retina. And, apparently, the retina is working perfectly well and Doguy has an excellent sight! In addition to the corneal problem, it was discovered our young male produces tears of bad quality. A tear is made of some water, mucus and lipids. Doguy’s tears don’t lubricate his eye enough which could cause irritation and pain especially when the sun is shining too much and when the air is dry and dusty. J.A.C.K. now must find the adequate medication to face this inconvenience as dry season is coming soon (April)! On this very particular event, J.A.C.K. had the chance to be surrounded by a great team of Friends and Vets who we all thank for being so helpful!. From the right to the left: Dr Keri-Lee (eye surgeon), Dr Jackie (vet and great friend of J.A.C.K.invited to attend the occasion! ), behind her Dr Izak (eye surgeon), Dr Christian (J.A.C.K. veterinarian), Dr Jean Claude (J.A.C.K. 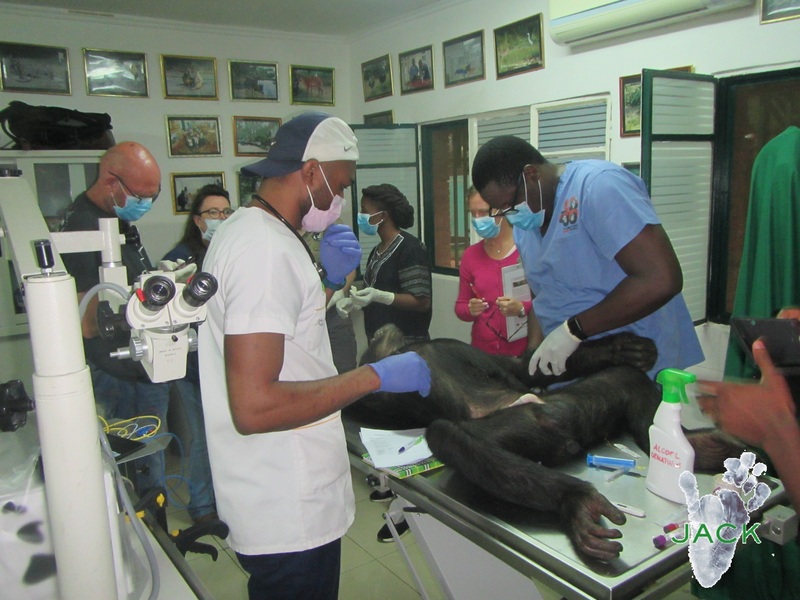 volunteer veterinarian), Dr Noella (assistant of Dr Jean Claude), Dr Rebeca (ophtalmologist and friend who has taken care of Doguy’s eye since 2017) and on my right side another assistant of Dr Jean Claude. Vet assistant Ben is making the picture! 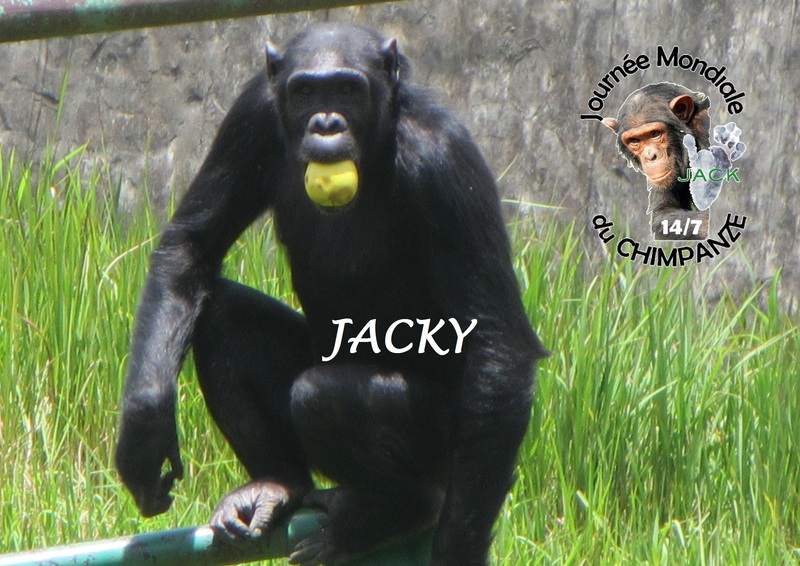 Doguy, the team of J.A.C.K., Franck and myself do thank all the great donors and sponsors who took part in the different fundraisings in Europe and the US to help Doguy. Also, we thank from the deepest of our heart Mr Manoël and the Hôtel Pullman Lubumbashi Grand Karavia for having kindly sponsored the accomodation of our guests. Many, many, many thanks to Mr Josh and his team of Katanga Contracting Services (KCS) as they covered the journey and most of the stay of the two eye surgeons. Organising this event has been a real challenge and, therefore, any support has been more than welcome!! Thanks a lot to the great Friends of J.A.C.K. 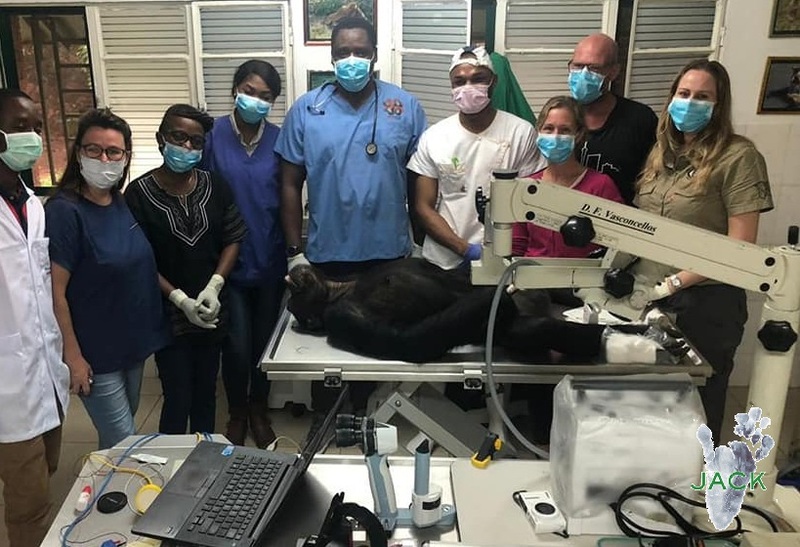 who managed to find the qualified veterinarians ready to come to the DRC: Gregg, Kaitlyyn, Belinda, Neil and their precious friends. 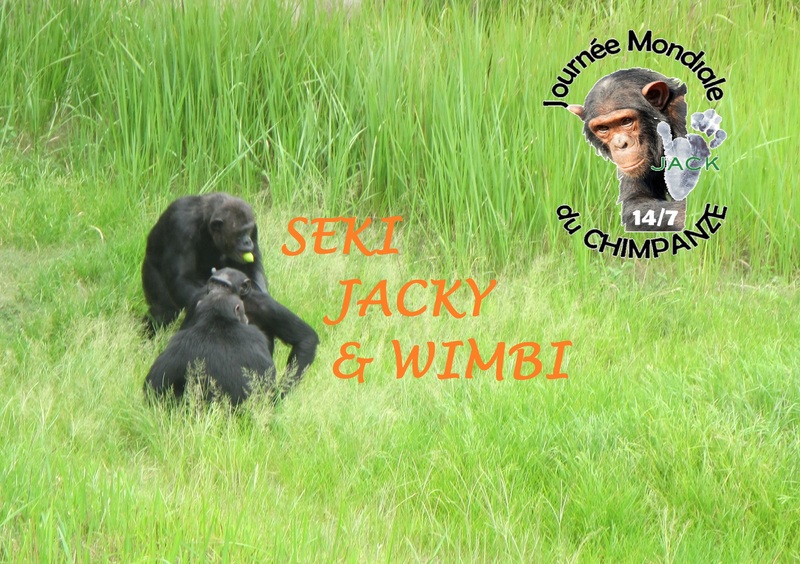 Franck and I thank Dr Rebeca as well as our dear team of keepers who have been with Doguy for so many years, who have provided him with the best care and who were next to him on this very special D-Day! Again, we wish to thank our two wonderful guests, Doctors Izak and Keri-Lee, for their passion, time and experience as well as for their wish to help Doguy today and in the future! And thanks again so much to All of You who made this event possible for our young friend Doguy! It is obvious J.A.C.K. wouldn’t have been able to organise all this without YOU! 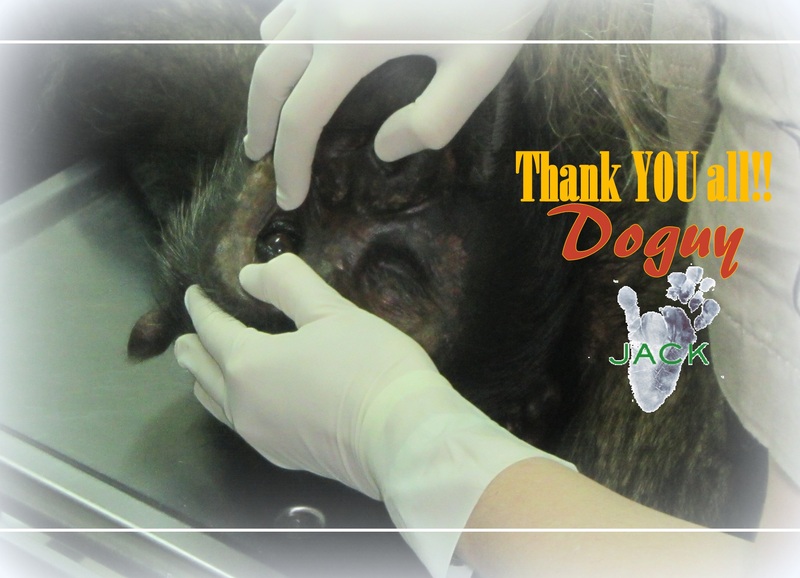 And it is very clear that, without YOU, we would still be extremely anxious about the health of Doguy’s remaining eye! Doguy is very lucky to have YOU! Thank YOU all again so much for HIM! 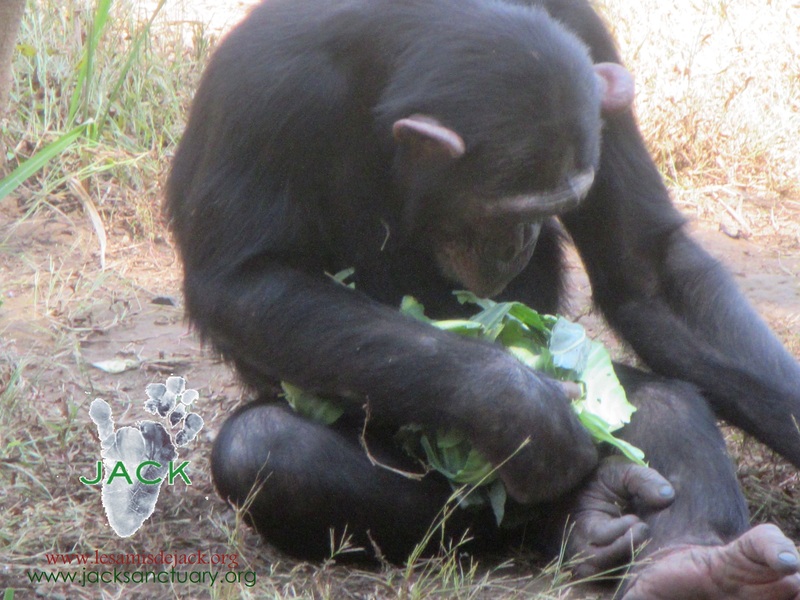 Don’t expect to see very young chimpanzee orphans at J.A.C.K! 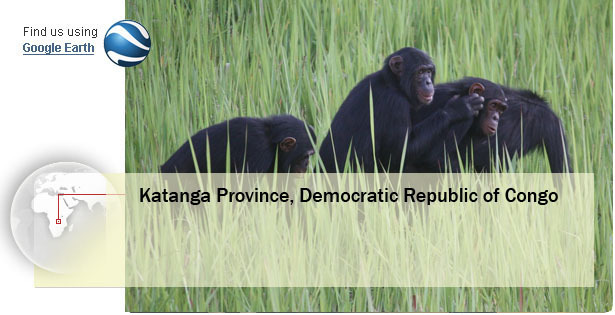 Since 2014 no chimpanzees have been seen on sale on the streets of Lubumbashi and none have been confiscated by DRC wildlife officials in thi part of the country. From the early beginning, the first aim of J.A.C.K was to do law enforcement and it seems the long years of tireless efforts have yielded good results. 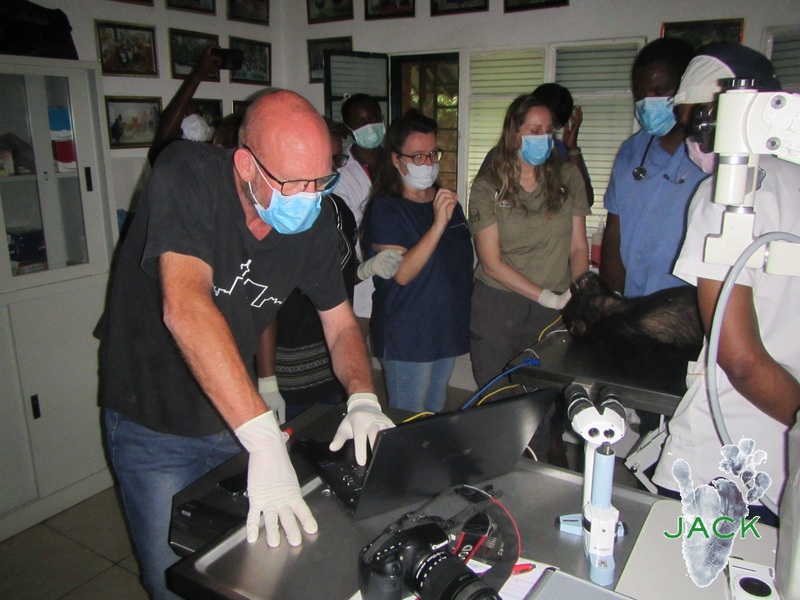 J.A.C.K managed to stop the trade in great apes in a city previously known as a hub in ape trafficking. We are all well. 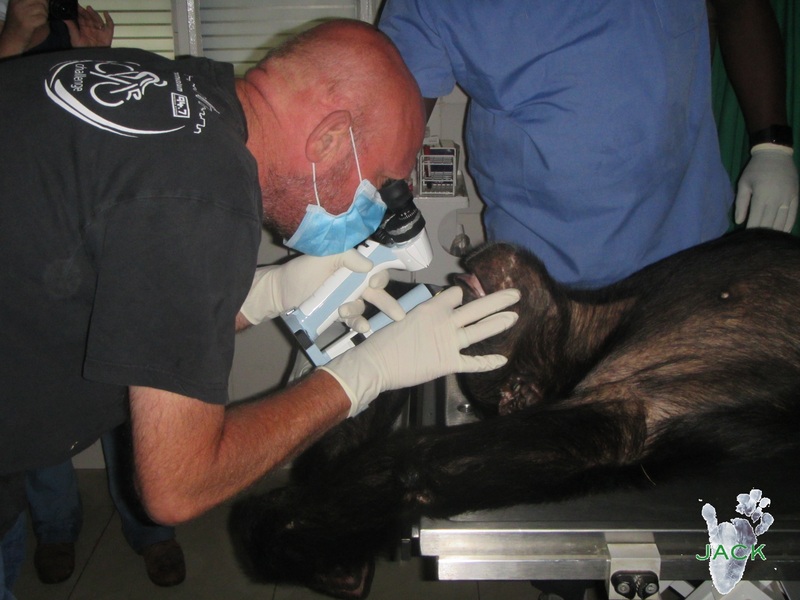 Some chimps were badly sick and are recovering slowly. MANY THANKS to our Friends, Donors and Adopters for their valuable support during these tough times. Every single donation means a lot to THEM! 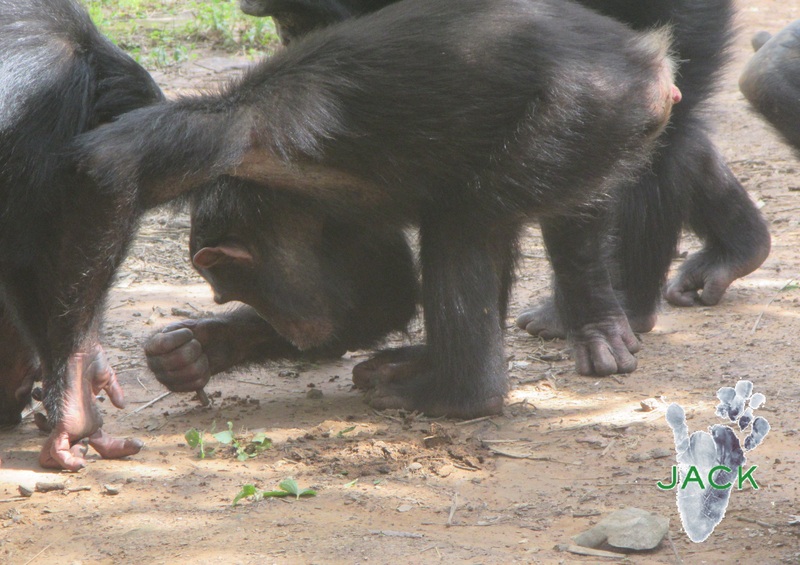 In the early afternoon, when situation had come back to “normal” in town, the keepers opened the gates and the chimpanzees were enjoying their routine… We were all extremely happy to see them all interacting normaly without any signs of stress. 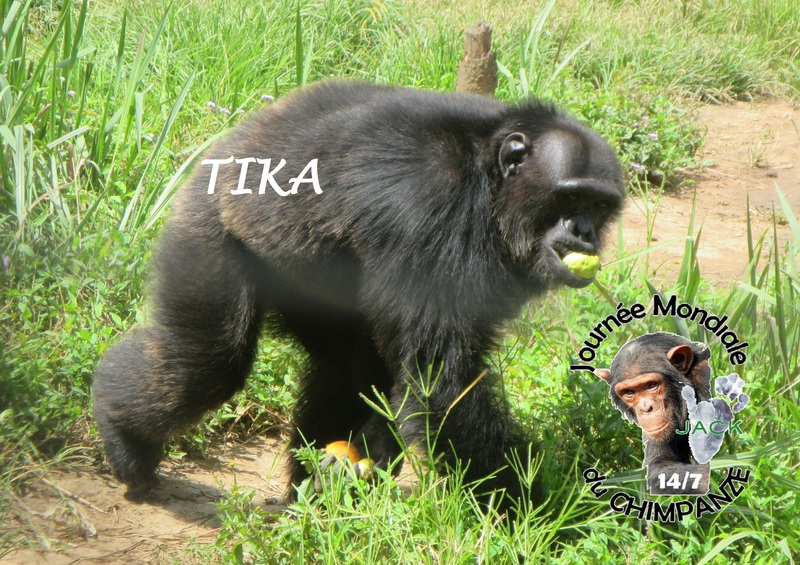 July 14 was World Chimpanzee Day and the residents of our sanctuary partied too as they were offered extra apples!!! 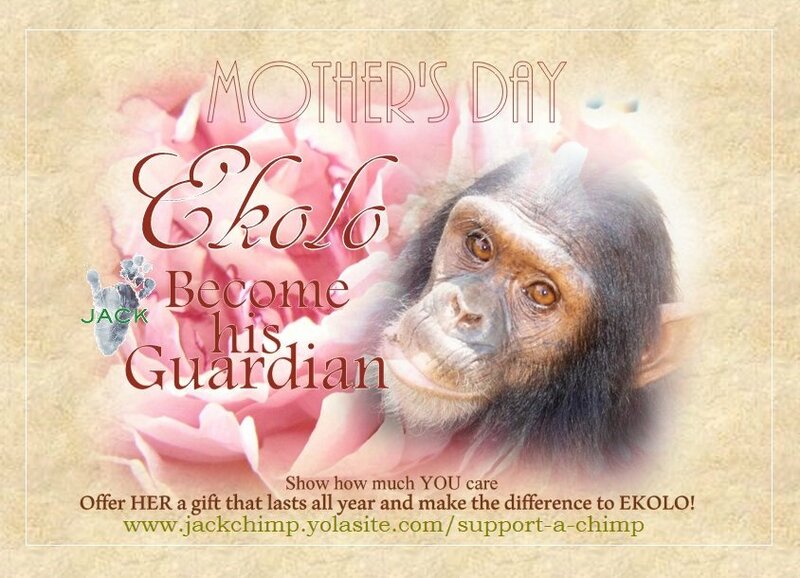 Mother’s Day – Offer HER the unique gift ever!!! YOU ARE LOOKING FOR A UNIQUE MOTHER’S DAY GIFT ON HER SPECIAL DAY? Offer HER a gift that lasts all year – a gift that your Mother will always remember and that will become very special to HER! 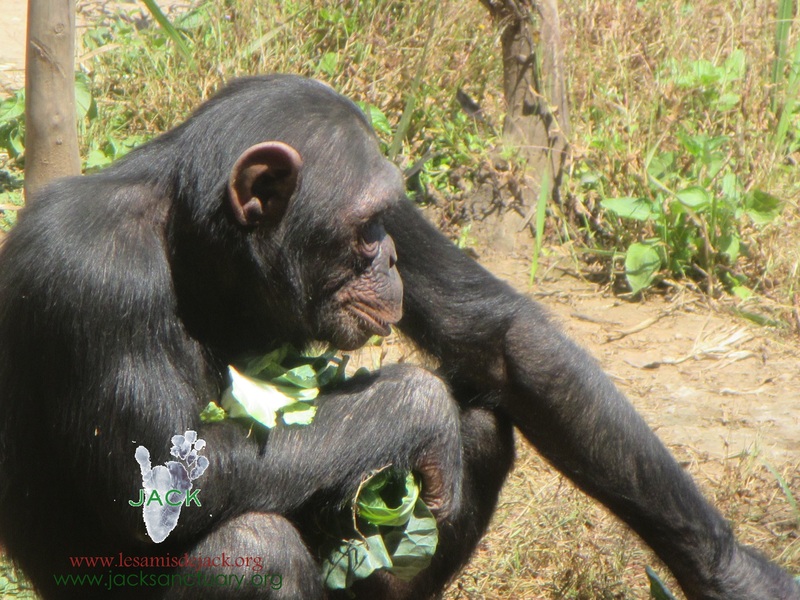 Sponsor an orphaned chimpanzee of J.A.C.K. for less than 45c / day and be THE difference to your new furry Friend in a country where getting food and appropriate veterinary care is a daily challenge! 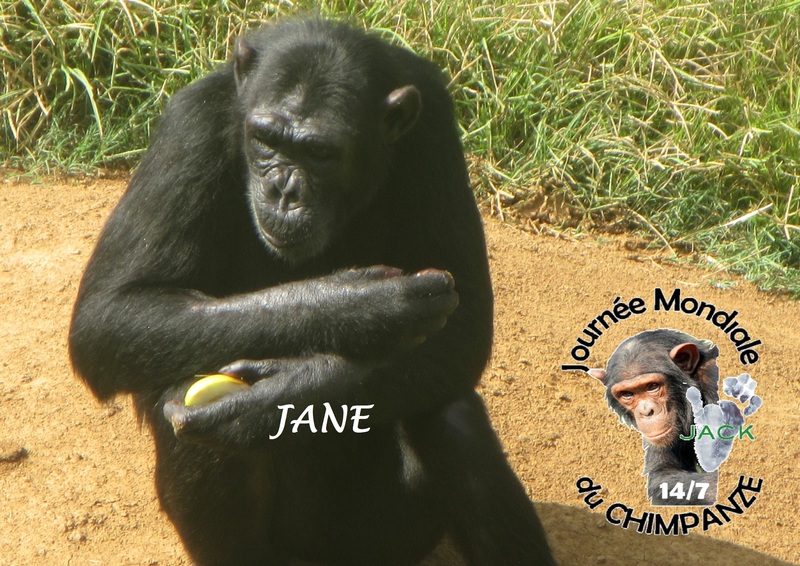 Your gift will make THREE HAPPY ONES: your Mother, the sponsored chimpanzee and yourself since you are taking part in a Conservation program rescueing great apes from extinction and also because you can receive a tax deduction if you live in the USA. Austral winter is on its way, would young friend TOMMY be stocking up??? 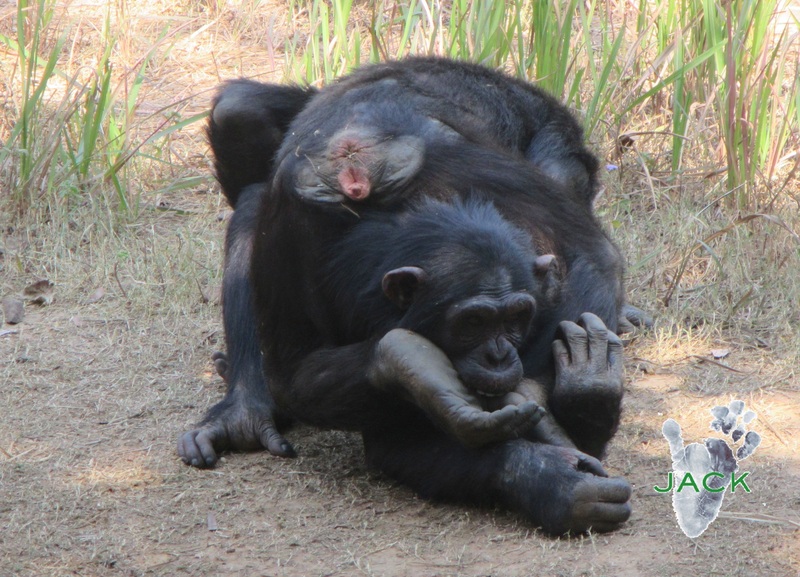 PICTURE OF THE DAY : young female Luna is like a little Mom to baby Mata ! Bihati, we will ALWAYS love YOU!